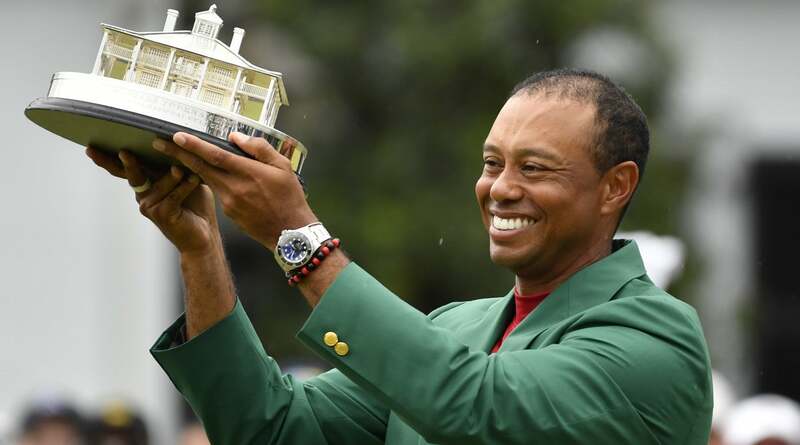 Tiger Woods took home over $2 million for his win at the 2019 Masters Tournament on Sunday, earning his fifth-career green jacket. But he wasn’t the only person who earned millions by way of his victory at Augusta National. One bettor will be taking home over $1 million after placing an $85,000 bet on Tiger to win the Masters at 14/1 odds, according to ESPN. The bet, which was made on Tuesday at a William Hill sportsbook in Las Vegas, was the first-ever wager placed by the bettor at a William Hill U.S. sportsbook. The bettor will earn $1.19 million for Tiger’s 15th major championship, which is the largest payout in the company’s history for a single golf event. It’s reportedly the fourth million-dollar payout on a wager made at a William Hill sportsbook. Tiger Woods wasn't the only person to take home millions on Sunday. But William Hill wasn’t the only sportsbook that took a big loss after Tiger’s Masters victory. The SuperBook at the Westgate Las Vegas reportedly had a huge net loss on its Masters futures bets, as Tiger’s win led the book to likely suffer its largest loss on a golf tournament. The SuperBook took a $10,000 wager on Tiger to win the Masters at 12/1 odds back in February, which means that bettor will walk away with a $120,000 payout. BetOnline.ag, an offshore sportsbook, experienced its biggest loss ever on a futures market because of Woods’ win. BetStars’, a sportsbook based in New Jersey, has reportedly taken a $360,000 loss on its Masters futures market because of Tiger’s triumph. It’s the company’s largest loss on a futures market since it began offering sports betting in the U.S.
Tiger’s win on Sunday is a friendly reminder that no one, including sportsbooks, should count out the 43-year-old and newly-minted No. 6 player in the world.